For the last month or so I have been glued to a number of religious books. The Bhagavad Gita mostly, and a couple of other religious manuscripts including the Ramayana, the Sai Charitranama and others. 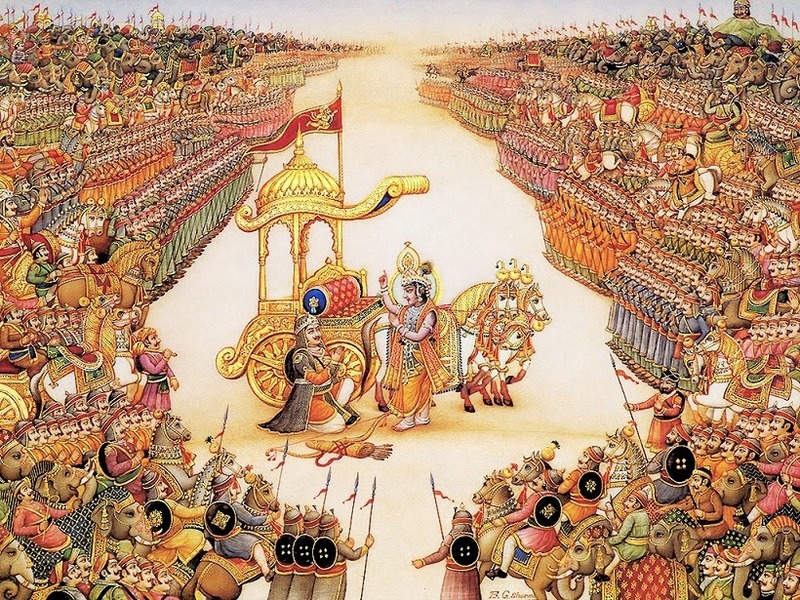 The Gita ofcourse is a part of the Mahabharatha one of the two Indian epics. Having read the versions for kids, this time around the reading was on a much deeper level of study. When we quizzed an architect on what would he would recommend reading to be a great architect, he said the Bhagavad Gita. He could not have been more right. The Bhagavad Gita presents solutions to the most complicated aspects of life in a sentence or two but mostly it continuously reinstates one single notion –कर्म कर फल की चिंता मत कर, translated from Hindi as, work with absolutely no attachment to the result. Apart a few more gems of wisdom here are a few that stayed with me much after reading the original translated from Sanskrit. Those who are wise lament neither for the living nor the dead. Lament I believe as per the Gita, in any form is an absolute waste of time! Equanimity of the mind is a sign of self-realisation. A person is said to be equanimous when he regards all – the honest well-wisher, friends and enemies all with an equal mind. And finally as for actions – that action which is performed indifferent to success or failure, is called action in the mode of goodness. As a part of a larger picture, we are on this planet for a rather insignificant measure of time. And while we use this time to make hay, stay happy or reach the moon, it’s our lifetime that matters the most to us. And no, God is apparently not judging, does not need incessant praise or a matter of great fear. Good is God, and earnestly working with effort is what the Gita prescribes.